In today’s era of Instagram influencers, the notion of what influence is has perhaps become a little distorted. Real influence is about more than encouraging others on what shoes to buy or makeup to wear, it’s about inspiring meaningful change in thought, in action or in people’s lives. That’s why for Canadian Immigrant’s sixth annual “Immigrant Women of Inspiration” special, we have picked four women from different cities, backgrounds and generations who are using their talents and passion to influence change, each in their own unique ways. Here are the stories of Alice Cheng, Nothabo Ncube, Tetyana Golota and Yasmin Ali. She champions environmental causes in part because nature has become so meaningful to her as a newcomer. After moving to Canada from China when she was just five years old, Cheng found peace in the outdoors. “The only respite from all the taunting and feeling unwelcome was in nature,” she says. One of the first trips Cheng took in Canada was to Algonquin Park in Ontario. “Being outdoors really made me appreciate nature,” she says. Cheng and her family also became involved in a community garden. She looked forward to helping her family tend to their plot. The outdoors became a source of comfort for Cheng. In school, she learned about factors that were threatening the very places she loved so much. This began Cheng’s involvement in advocacy work to protect the environment. In Grade 9, Cheng became involved with the Toronto Youth Environmental Council. She took on leadership roles, leading to a co-presidency position. A huge moment for Cheng was in September 2016 when she had the opportunity to present in front of Toronto City Council’s Parks, Environment and Climate Committee, urging for climate action on the municipal level. 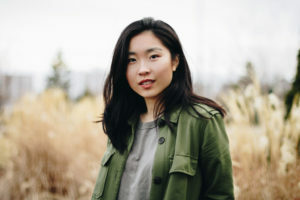 Through her participation with the Toronto Youth Environmental Council, Cheng had to overcome a number of roadblocks faced by youth organizations. Not being taken seriously and working around everyone’s high school schedules were everyday struggles for Cheng. “If you want something you have to put in effort to get it,” she says. While Cheng loved the advocacy work she was doing with the council, she wanted to do more. She was inspired to found a non-profit organization with support from Ryerson’s Sandbox by DMZ and the Sprout Ideas Fellowship Program. She founded the #HEMPower Campaign with $2,000 in funding to spread awareness on the benefits of industrial hemp, a non-water intensive material used for clothing that has a low impact on the environment. “It’s like bamboo in that it grows really easily, doesn’t need to be sprayed with a bunch of chemicals,” says Cheng. When she was 15 years old, Cheng also founded Global Figure, a Canadian, youth-led non-profit organization striving to better engage, empower and mobilize the next generation of global citizens to shape a more sustainable future for all. For her work in environmentalism, Cheng was the recipient of Toronto’s Urban Hero Award in the Environment Category in 2017, an award given to recognize people who have made a difference in the lives of others. She was also the recipient of Corporate Knights Magazine’s 30 Under 30 Sustainability Leaders Award. Most recently, Cheng has been involved with the Young Women’s Leadership Network, helping with event planning and activities. “In order to properly champion any cause, it’s really important to build leadership capacity,” says Cheng. This young leader will be attending the University of Toronto in September. “I’m looking to go into general humanities, environmental ethics, east Asian studies, maybe some drama into the mix as well,” she says. “In order to be an effective leader, I think you have to be willing to learn,” she says. We have no doubt that whatever lessons Cheng learns in the future, she will be sharing her knowledge to inspire positive change. Nothabo Ncube is a doctor by profession. For most, that would be enough, professionally speaking. For Dr. Ncube, it was just the beginning of a calling to help people live with purpose. Again, it was her mother who inspired her path. “My mother [a teacher] had that passion of inspiring kids to be the best they could be,” says Ncube, who determined early on that she, too, would lead a life of service. At school in Toronto, Ncube didn’t get that kind of encouragement. She recalls an English teacher judging her for her accent and giving her low marks, but Ncube graduated near the top of her high school class and won a Fulbright Scholarship, which funded her studies at McMaster University. It wasn’t an easy path to medical school, however. She had to overcome family issues, depression and financial worries before she was finally accepted into medical school at Windsor University. It was in medical school that Ncube first used her talent for inspiration. As she began treating patients with psychological problems, she disclosed her own struggles to help them open up. “When you share your story, it gives permission to others to do the same,” she says. After completing medical school in 2017, Ncube decided to try motivational speaking. Ncube landed a spot on the prestigious TEDx Talks series. Though she was nervous and shaky before taking the stage, she moved her audience to tears and received a standing ovation at the end. Since then, she has become an internationally sought-after speaker, travelling back to Zimbabwe and South Africa and most recently in the U.K. and Dubai to speak. Ncube tries to motivate young girls to realize their ambitions and also reassures women that it’s never too late to redirect their lives. Motivational speaking has also led Ncube to a new career as a life coach. After every speech, audience members line up to meet her and ask for more personal guidance. While her presentations inspire people to reach for their own dreams, the coaching offers specific strategies to achieve these goals. 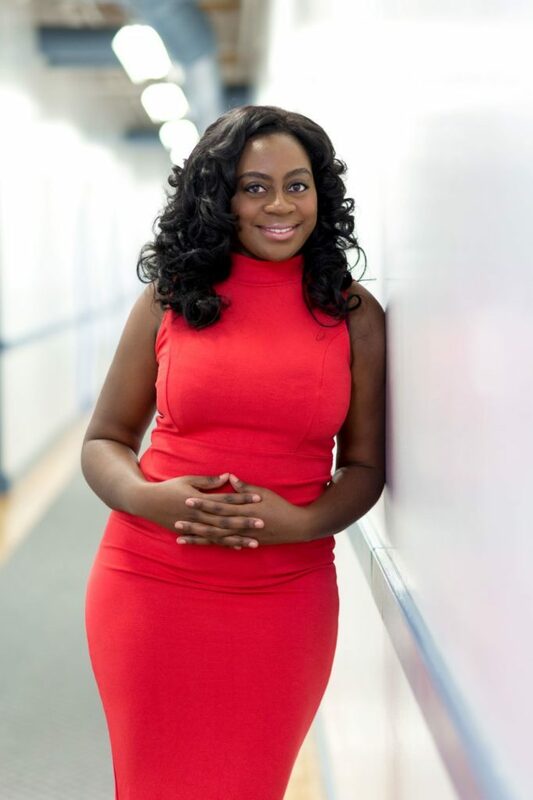 Ncube also mentors girls around the globe through regular Skype or phone sessions. “I remind them that they are so much more than their society’s expectations of them,” she says. Even though Ukrainian-born Golota felt completely overwhelmed when she arrived in Vancouver with her husband and toddler son 21 years ago, she didn’t allow it to hold her back. She rolled up her sleeves and got on with it: she cleaned houses for $5 an hour, all the while taking ESL classes. Soon, her English improved and the Golotas found work as building managers. Shortly after that, Golota was accepted into a desktop publishing course at BCIT, and upon graduation she worked her way up until she got her dream job — finally she had it all. But, after a bout of flu that wouldn’t go away, Golota discovered that what she really couldn’t shake was a brain tumour. At the same time, she was also diagnosed with fibromyalgia and arthritis. After surgery to remove the non-cancerous tumour, Golota was left with a disability (chronic pain and limited vision), meaning she could no longer work her regular 9–5 job. Despite time spent recovering, Golota kept busy. 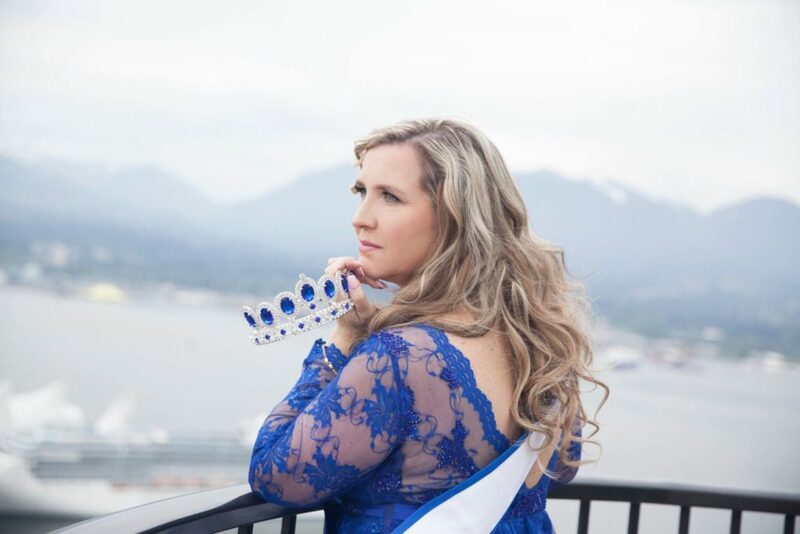 She worked in her family-owned consignment store in Port Moody, B.C., volunteered in the community and became involved with She Talks, an organization that offers women a platform to share their stories of empowerment to inspire others. She was one of the first women to stand up and speak. Today she remains a core committee member, continuing to influence and inspire the network of women involved in She Talks. Well, she did, and she became an instant role model for the body positive movement. While she was trailblazing on the pageant circuit, the always glamorous Golota was also forging a new career for herself in the fashion world. She began by creating an eco-fashion collection inspired by her heritage. “My first small collection of eight ethnic-Ukraine garments ended up being featured in Vogue India,” she says. Since then, she has also walked the runway at Vancouver Fashion Week, presented her collection at Eco Fashion Week and has been featured in Vogue UK magazine. Being a leader can be challenging, but people who pull it off regardless of the difficulties are usually those who see the bumps in the road as stepping stones to success. Yasmin Ali’s journey has had its share of bumps, yet she has always found ways to look at them as opportunities. Today, Ali is leading a group of Muslim newcomer women, providing them with the support they need to transition to life in Canada — anything from getting a social insurance number, to opening a bank account, to visiting a doctor to finding a job. Born and raised in Trinidad, Ali made her way to Canada after high school to study zoology at the University of Manitoba, before returning to Trinidad to teach high school for 12 years. There, she got married to a Trinidadian doctor, Ben Ali. She later helped him find a plastic surgeon residency at the University of Manitoba, while she stayed back to work and raise their four kids. In 1990, the family moved to Medicine Hat, Alberta, where Ali’s husband secured a permanent position as a plastic surgeon. But they did not remain there for long, as they found that being the only Muslim family in town was too difficult. Eventually, Ali became the lead teacher and then the school’s volunteer principal. Working so closely with other members of the Muslim community through the school, Ali saw a need for more advocacy and support for Muslim women. “In 2006, a group of us got together and decided to start an organization called the Canadian Muslim Women’s Institute (CMWI),” she says. CMWI was the first organization of its kind in Manitoba where Muslim women are both the leaders and participants of their own organization. The goal of the institute is to promote and empower refugee and newcomer women and their families socially, economically and spiritually through a variety of programs. 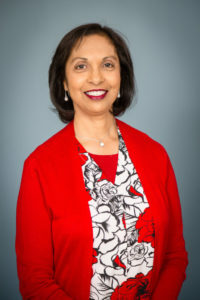 At first, Ali served as the CMWI’s vice president, but, after only six months, she became president and has been leading the group ever since. For this, Ali needed to learn how to fill out grant applications, communicate with sponsors and work to find employment for newcomers. Through all these efforts, Ali has influenced the lives of so many Muslim women in Winnipeg and she has been recognized with many awards for her selfless volunteer service. Ali says that growing up as a minority in Trinidad taught her the value of accepting others and being a steward for those who need help. Today, those are values that she shares not only with the community, but with her now-adult children and first grandchild.